A beastly 2-in-1 tool for survival! 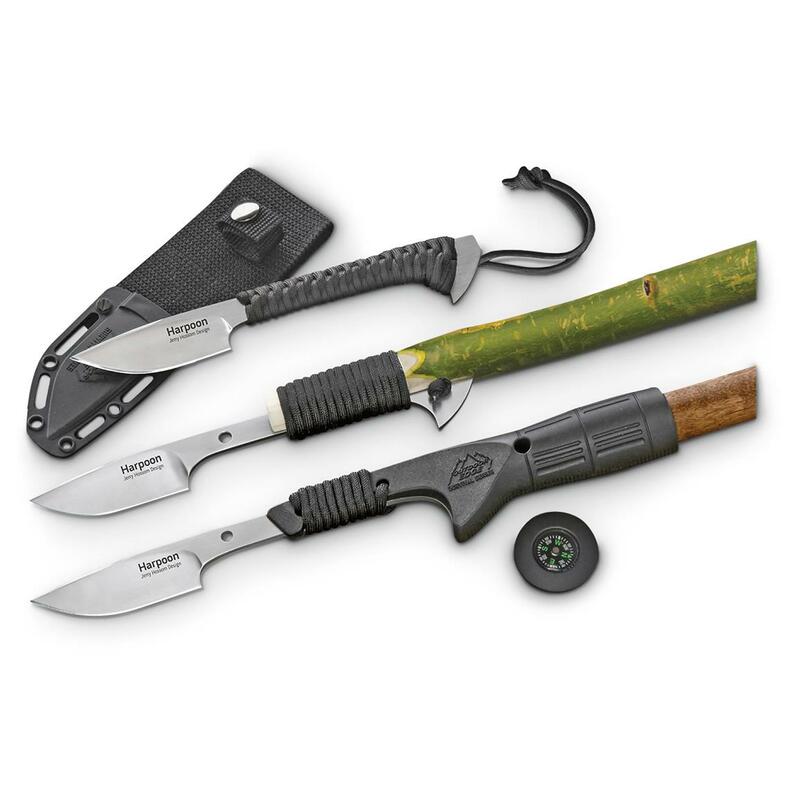 This Outdoor Edge Harpoon Knife comes equipped with a paracord wrapped handle and blade holder that converts quickly from a knife to personal defense spear in just seconds. Once converted, the Harpoon is effective for hunting small game, birds, fish and more. Hollow blade holder features a built-in compass along with a compartment for storing small survival essentials. Great for camping, bug out bags…you name it! Zytel Glass-nylon blade holder with built-in compass and compartment for storing matches, fishing line, etc. Outdoor Edge Harpoon Fixed-Blade Knife, 2.9 Blade is rated 3.5 out of 5 by 2. Rated 4 out of 5 by norman from tough as nails Tried the harpoon in both configs. This is one tough item. PUMA SGB Bighorn Micarta Fixed Blade Knife, 4"
8.33" overall, weighs 7 ozs. Premium quality with a razor’s edge.